Just spent a cool afternoon at the Mittelaltermarkt that set up down the road from us. We cycled down with the kids, ate genuine Medieval crepes, the boys bought wooden daggers with belt hanging scabbards and rode on a Medieval merry go round. There was also some top live theatre with a genuine fire-breathing dragon that mesmerised the kids. Probably impossible to see such a thing up close in the UK due to Health and Safety nonsense, but the boys loved having the dragon spit fire at them. Also got chatting with a rather cool German chap (dressed in full costume) who told me all about paper/book manufacturing in the Middle Ages. Learnt some cool stuff about how books were bound and the paper was made. 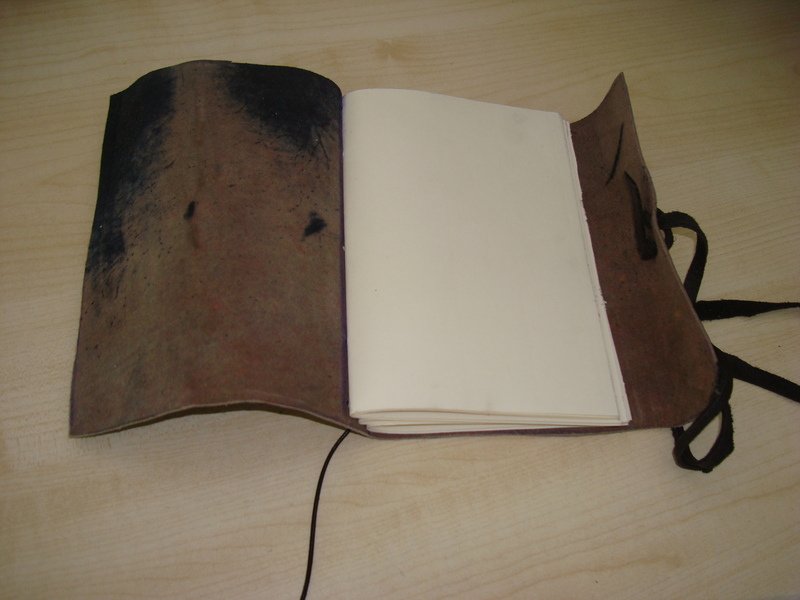 My eldest lad and I each bought a cracking leatherbound notebook of handmade paper to satisfy our notebook addictions. 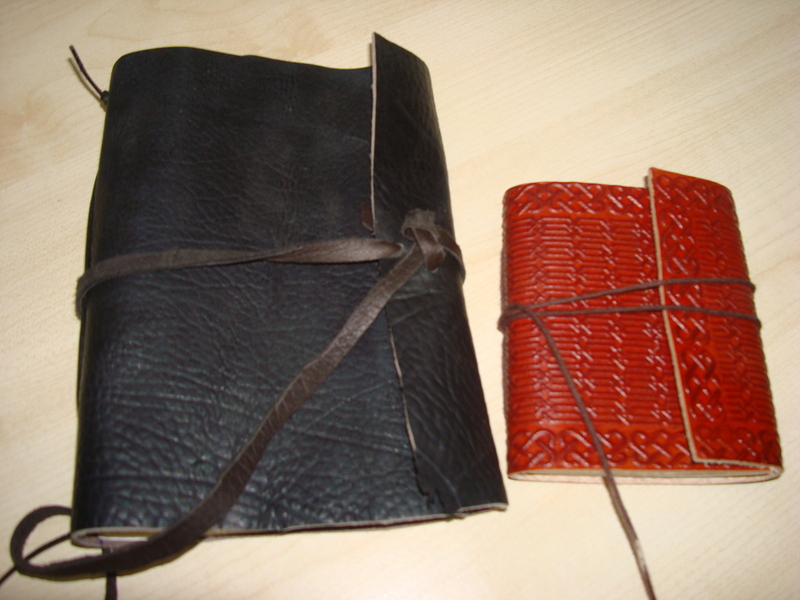 Mine is the black one, his the cute little red/brown book. Feels kind of like I should be making notes for a fantasy epic in it.